We are usually open 10-6, 7 days a week. Note that we are small mom & pop company and that hours vary. Open: after we drop the kids off at school and check the surf. Close: when our wives say it’s time to come home. 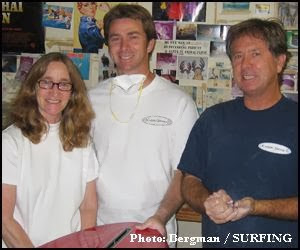 I started the world famous Surfy Surfy blog in 2005 with the goal to document the unique surfboards being built at my family surfboard factory, Moonlight Glassing. Moonlight Glassing was founded in 1979 by four talented craftsmen emerging from the old Sunset Surfboards surf shop and factory. Peter St Pierre (airbrush/pinlines) Gary Stuber (glassing) Kenny Mann (sander) and Mark Donellon (gloss and polish) are still working there today. In 2010 I talked a few of my longtime surf buddies into investing in my vision of a classic, old school style, brick & mortar surf shop in our hometown of Leucadia, California. Surfy Surfy brick & mortar is a nice little surf shop, and the same group later opened up a nice coffee shop next door, “Coffee Coffee”. 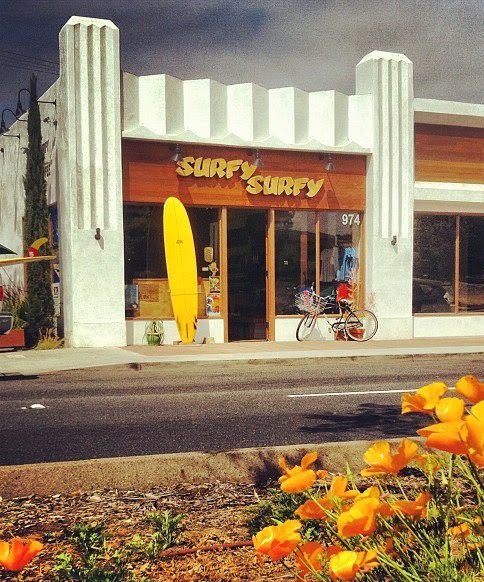 You should totally cruise by and visit in person for coffee and surfboards! We are literally a Mom & Pop shop. We are parents of young children. We like Surfy Surfy to have a family atmosphere. 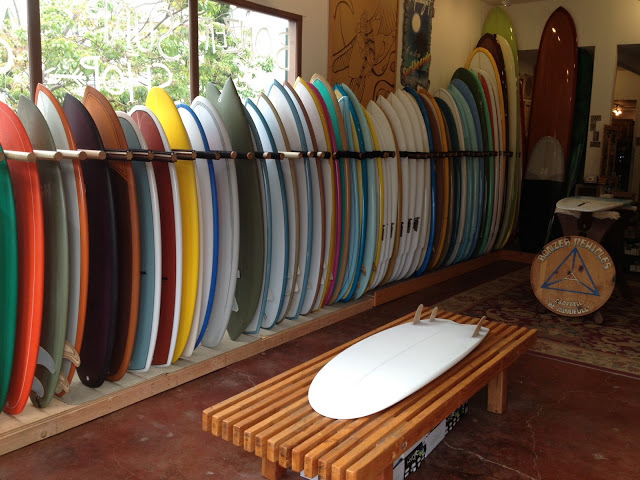 Some surfboards pictured on this blog are for sale and some are customs, most are just eye candy for you to enjoy. *Surfers who make surfboards are called Surfer Labor. *Friends Making Surfboards for Friends is what Surfy Surfy is all about. J.P. St. Pierre CEO & Janitor of the huge mega-corporation: Surfy Surfy, Inc.
Surfy Surfy is a team effort! Surfy Surfy the blog was founded by JP St Pierre in 2005. All original content by JP. Copyright on all original content.